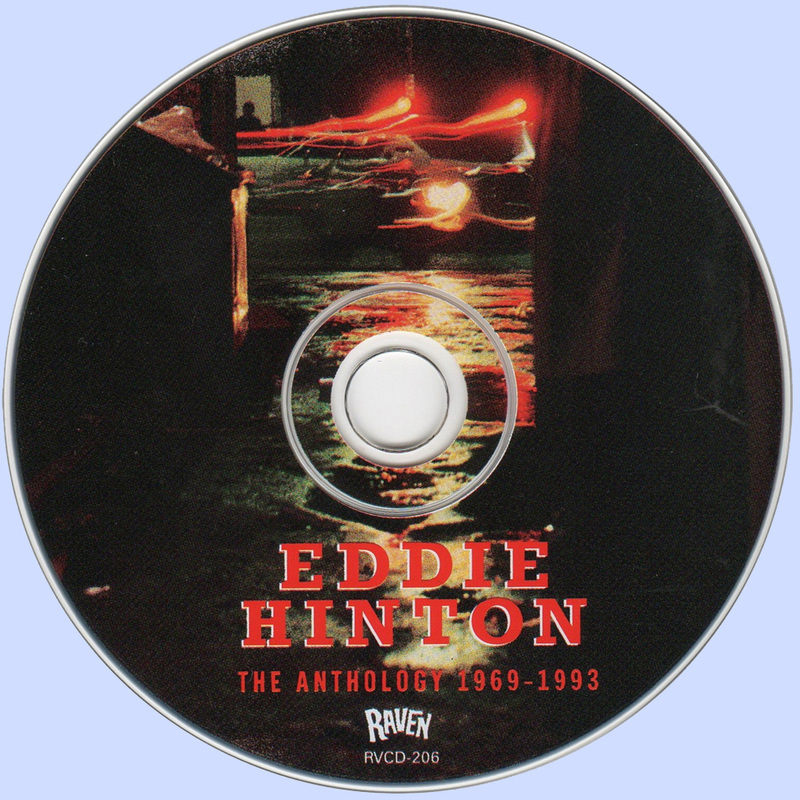 Guitarist, songwriter, and singer Eddie Hinton may be one of the great, unheralded white blues musicians of all time. Fortunately, fans can latch onto a few recordings on compact disc. Hinton died far too young at the age of 51 on July 28, 1995, yet his guitar playing can be heard all over famous recordings by famous people -- hit records by Aretha Franklin, Wilson Pickett, Joe Tex, Solomon Burke, Percy Sledge, the Staple Singers, the Dells, Johnny Taylor, Elvis Presley, Boz Scaggs, Hour Glass, Otis Redding, and even reggae star Toots Hibbert of Toots & the Maytals. Hinton was a session guitarist non-pareil. After working with Southern bands like the Spooks and the Five Minutes, he played lead guitar for Muscle Shoals Sound rhythm section from 1967 to 1971. What most people didn't know at the time was that Hinton was also a talented singer, songwriter, arranger and producer in his own right. In the late '60s, Muscle Shoals was something of a hit factory for Atlantic Records recording artists, under the careful, patient tutelage of legendary producer Jerry Wexler. Hinton was just 22 when he was invited to the Shoals area by fellow songwriter and producer Martin Greene. The Hinton/Greene songwriting and producing team produced several country/soul hits, including "Cover Me," and "It's All Wrong But It's Alright" for Percy Sledge. Sadly, Hinton's 1978 critically hailed Capricorn Records debut, Very Extremely Dangerous, was released shortly before the Macon, Georgia-based label folded. In 1982, Jimmy Johnson of the Muscle Shoals rhythm section took Hinton into the studio to record a half-dozen songs for a new album, but that project was never released, and the blow to his ego, coupled with a divorce, sent Hinton into a personal tailspin. Changing musical trends brought popular tastes further away from blues and soul for a time in the '80s (until the rise of Stevie Ray Vaughan brought blues back into vogue) and Hinton was living on the streets in Decatur, Alabama when he ran into an old friend, John D. Wyker. Wyker and Hinton were friends in the University of Alabama's drum and bugle corps. Wyker saw to it that Hinton again had housing and a plan to record again. With the help of some friends, Owen Brown and Jeff Simpson, Wyker began recording Hinton at Birdland Recording Studio and the new songs were combined with the tunes recorded by Jimmy Johnson in 1982. The result was Letters from Mississippi, an album that sparked a career renaissance for Hinton. It wasn't long before Hinton was in demand across Europe, Alabama, and the rest of the south for his unique, soulful blues vocals and expert guitar technique. Wyker continued to serve as a musical guru for Hinton's career rebirth and brought the singer and guitarist to Rounder Records' Bullseye blues subsidiary. Cry & Moan and Very Blue Highway were the result. Hinton recovered his health and general well-being and moved back home to Birmingham to live with his mother, all the while writing refreshingly good original songs. He made a short tour of Italy before returning to Birdland Studios in early 1995 to record a new album. As he was putting finishing touches on the new batch of songs, he suffered a fatal heart attack. The results, Hard Luck Guy, were released on a revived Capricorn Records in late 1998, and the songs are some of the most soul-stirring, thoughtful, and well-recorded tracks ever put on an album by a white blues artist. Anyone who is a fan of Otis Redding or Al Green will latch onto these songs like a hummingbird to a magnolia blossom. Also worth seeking out are his two releases for Rounder, Cry & Moan, and Very Blue Highway, as well as his European-only release, Letters from Mississippi. To be sure, Hinton packed a lot of inspiring music into his 51 years by way of all the legendary sessions on which he played lead guitar at Muscle Shoals. His vocals were also singularly unique, firmly planted in the South and drenched with second-nature blues and soul feeling. Jerry Wexler's liner notes for Hinton's last release, Hard Luck Guy, (the title a nod to his prime influence, Otis Redding,) released on a revived Capricorn Records, are worth the price of the disc in and of themselves. Wexler says of Hinton in the liner notes: "He remains unique, a white boy who truly sang and played in the spirit of the great black soul artists he venerated. With Eddie it wasn't imitation; it was totally created, with a fire and fury that was as real as Otis Redding's and Wilson Pickett's." Eddie Hinton was a jewel. The many facets of his talent shone independently, and the whole was much greater than its parts. And like any jewel the light shinning on it enhanced its beauty. Eddie was a musician's musician, and when musicians talk of his playing or the strength of his vocals they use glowing terms. Jerry Wexler, producer of Wilson Pickett and Solomon Burke, called Eddie the White Otis Redding for his soulful singing. In his biography, Wexler cited an incident in which he watched Eddie and Bob Dylan trading acoustic guitar licks at Muscle Shoals Sound. "How strange and wonderful, then, to remember Bob Dylan and Eddie Hinton as soul brothers - two poets, one world-renowned, the other known only to a few friends, neighbors, and fans, both riveting artists, both brilliant," Wexler said. Drummer Jerry Carrigan, best known for his work both in the studio and on the road with Elvis Presley, recalled Eddie's musical talent went far beyond his work on the guitar. "Eddie could play anything. When you were working with him, instead of just telling you what rhythm he wanted you to play, he could sit down at the drum kit and show you." Wayne Perkins, a Birmingham guitarist with the Rolling Stones, Bob Marley, and Albert King among his credits, was a teenage guitar slinger when he first arrived in Muscle Shoals and got a chance to show Eddie his stuff. After watching Wayne playing blazing rock guitar lead after lead, Eddie told him, "I'll always play one note better than you." As a guitarist, Eddie's style was sparse, and fit perfectly with the song, yet was unconventional. Jimmy Johnson, founder and rhythm guitarist with the Muscle Shoals Sound Rhythm Section, recalled that in the early days at the Jackson Highway studio, his office was next to the guitar booth. He would have to leave his office when Eddie would overdub guitar parts, because all he could hear would be what Eddie was playing, and since he couldn't hear the track Eddie was over dubbing, it wasn't immediately evident how well Eddie's part was actually fitting. 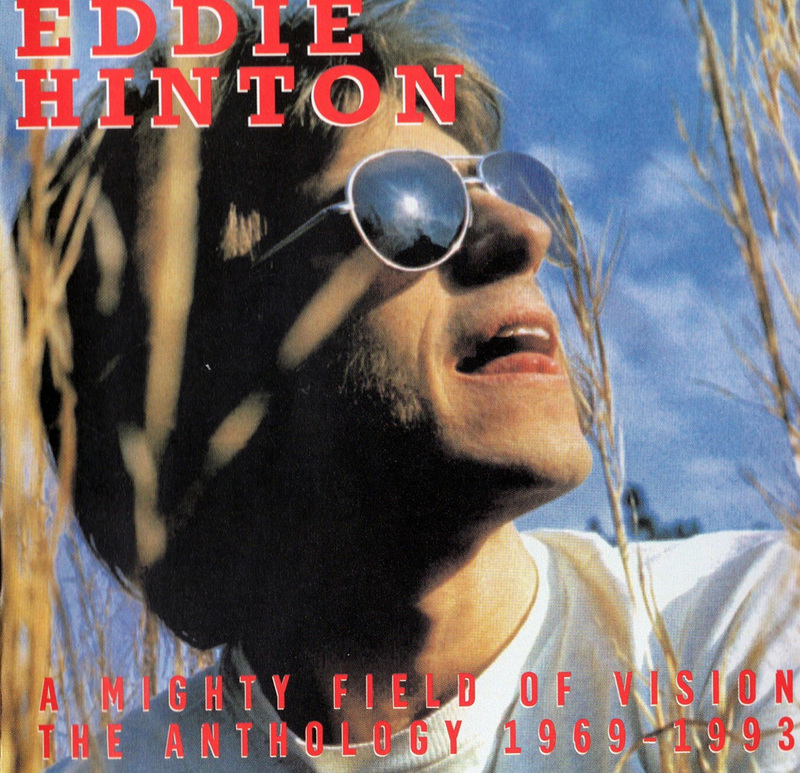 Jim Dickinson, producer of Toots Hibbert's "Toots In Memphis," which featured Eddie on guitar during some of his darker moments, recalls how he broke into tears while watching Eddie play on ÎFreedom Train." "The business broke his heart," Dickinson said. "You can hear it if you listen to the records. But you can also hear the endurance. Inside that destroyed human being was the spirit of Eddie Hinton, and he could still play that guitar. He just became like Van Gogh. There was this monumental genius. I never saw anyone take it further than Eddie." Eddie not only excelled as a musician, but he was also a vocalist, songwriter, arranger, and producer, working his way through the various aspects of the music business over a three-decade career. 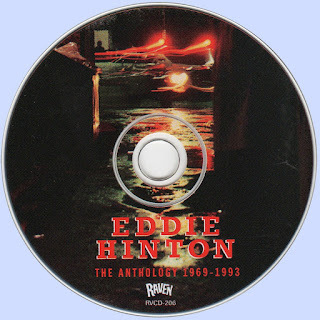 At the time of his death, Eddie had been recording songs, which were included in a CD titled Hard Luck Guy released in 1999 in the U.S. by Capricorn Records, and by Zane Productions in Europe. Zane also released a CD in September, gleaned from demos and unreleased tracks that encompass much of Eddie's career. The CD is titled Dear Y'all. At times Eddie terrified others. The vocalizations he would use as he prepared for a show could make the uninitiated feel very uneasy. His pre-performance warm-ups included strong cigars and various grunts, growls and blues shouts that would echo throughout studio bathrooms, backstage areas, or down alleys behind clubs. Early in Eddie's first year at the University of Alabama, he met John D. Wyker, a kindred soul from Decatur, AL., who would play a major role in the late years of Eddie's life. Wyker, was a musician, and the two found refuge from the mandatory R.O.T.C. training in the unit's Drum and Bugle Corps. By the mid-60's, Eddie had moved to Muscle Shoals, and teamed with Marlin Greene, songwriting and playing on some of the rhythm and blues records released on the Quinvy and South Camp labels. And Eddie's songwriting was gaining recognition outside the Quinvy stable, with cuts by Aretha Franklin, Percy Sledge, Lulu, and Dusty Springfield. He was also testing his production abilities. Teaming with Paul Ballenger in both the music publishing company, Ruler Music, and as producer for acts released on the Quinvy and South Camp labels. It was during this period that they produced the Don Varner Soul Classic, "Tear Stained Face." When Duane Allman left Muscle Shoals, to form the Allman Brothers Band, he asked Hinton to join him, but Eddie chose to remain in Muscle Shoals and pursue his studio career. Eddie decided instead to use the songs for an album on Coleman, and although it has never been officially released, copies have been available on a limited basis.